This is a monthly convocational newsletter. The names of the Bishop Nominees are scheduled to be announced at 6:00 p.m. (CEST) on Sunday, June 24, on the Bishop Search website. 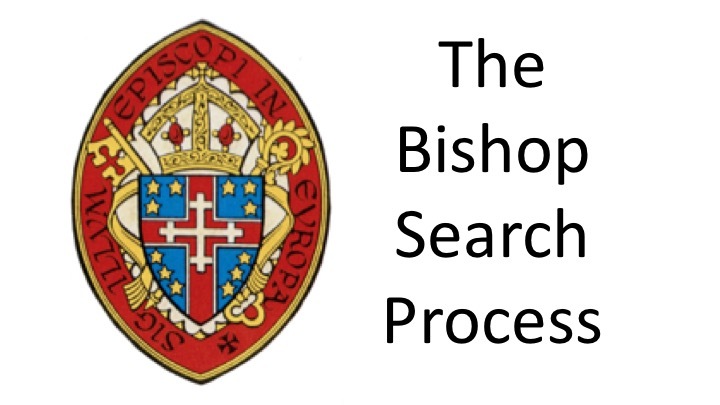 This website is the "go to" place for all information for the Bishop Search, Nomination, and the Transition processes. The Convocation Profile, which was developed by the Bishop Search and Nomination Committee, both in an on-line and a downloadable form. When the list of candidates has been finalized, biographical and other information about the candidates will be posted. Information on the petition process will also be available. It will also include other information about the Convocation, which will assist persons who are interested in the bishop search process, including a description of the Convocation Parishes and Missions. As of June 14, there have been over 26,120 visitors to the website. 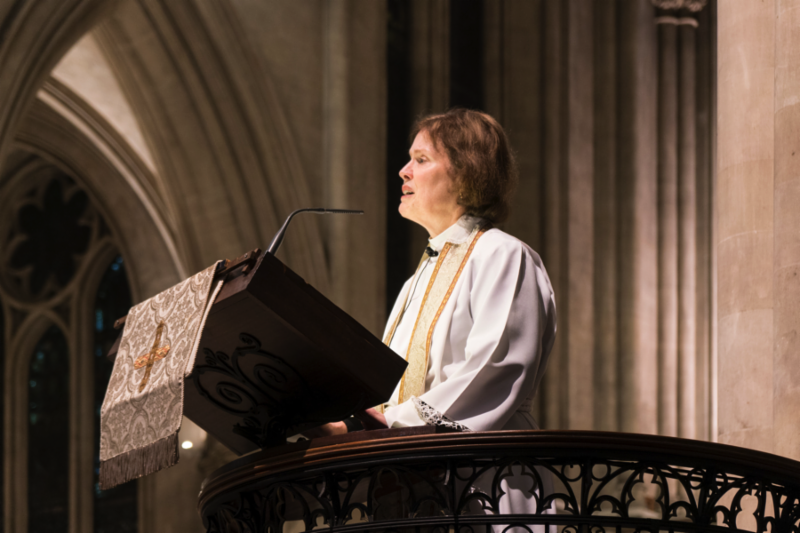 The Bishop Search has engendered great interest in the Episcopal Church and elsewhere in the Anglican Communion. O God, we pray for the Convocation of Episcopal Churches in Europe as we discern and elect a Bishop to serve your people, build up your Church and proclaim boldly the Gospel to the world. Send us, we pray, an apostle who is a wise counsellor, a merciful pastor, filled with your joy and grace. May your servant have the abundant gifts needed to lead your flock and the strength and courage to administer them. And may we renew and rededicate our lives to your will and service. All this we pray in the Name of our Great High Priest and Servant of the servants of God, Jesus Christ our Lord. Amen. The General Convention is the highest governing body of The Episcopal Church. This bicameral legislative body includes the House of Bishops and the House of Deputies. 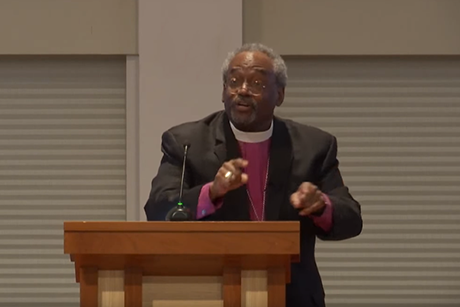 The Presiding Bishop, The Most Rev. Michael B. Curry is the chair of the House of Bishops. The current President of the House of Deputies, The Rev. Gay Clark Jennings, was elected in 2012. The two bodies meet and act separately, to set the Episcopal Church's mission priorities, budget and policies. Both Houses must concur to adopt legislation. The Convention has the authority to amend the Constitution and Canons of the Episcopal Church; adopt the budget for the church for the next three years; authorize liturgical texts and amend the Book of Common Prayer; adopt communions and covenants with other churches; set qualifications for orders of ministry and office-holders; elect officers of the General Convention, the Executive Council, and members of boards; and delegate responsibilities to the committees, commissions, agencies, and boards of the Episcopal Church. The General Convention meets every three years. In between conventions, an elected body, the Executive Council, meets to address concerns and carry forward the policies and programs adopted by The General Convention. The next General Convention convenes in 2018 in Austin, Texas. Legislation at the General Convention is authoritative for the church and comes from a deliberative process. At the left is a diagram (thanks to the Diocese of Connecticut) describing the process for a resolution to be enacted. The Convocation, like all of you, has lean years and fat years. Sometimes it's hard to make ends meet. In other years, in part because of fluctuating currencies and other factors beyond our control, the finances are good. Last year was one of those. The Council of Advice has thus decided to share some of these blessings with the Convocation's members. 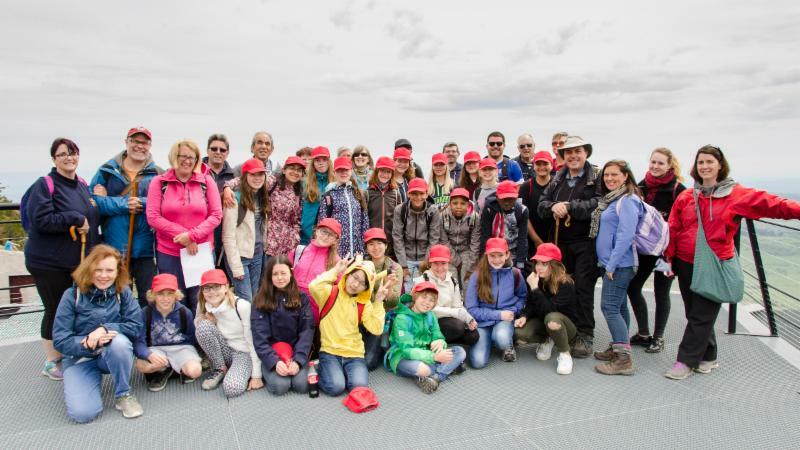 At its recent meeting in Augsburg, Council voted to give a total of €20,000 to our churches and mission congregations, on a pro-rata basis using the same formula that determines contributions. We can't guarantee this will be possible in future years but we are pleased to have the ability to share God's financial blessings in 2018. 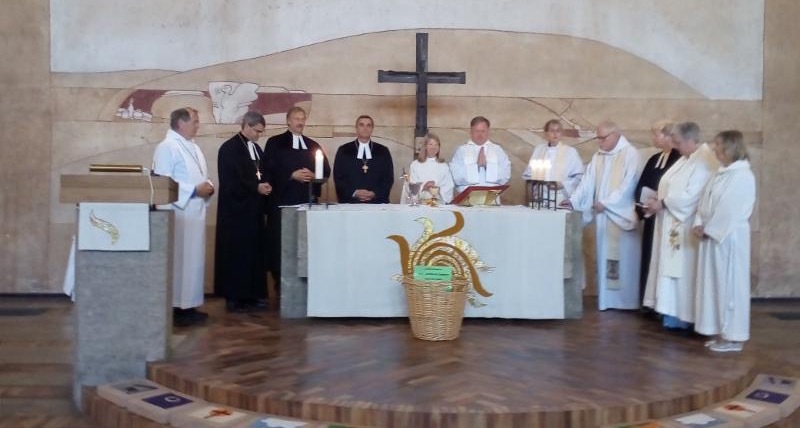 An important ongoing dialogue between The Episcopal Church (TEC) and the Evangelical Lutheran Church in Bavaria (ELKB) has entered its fifth year. 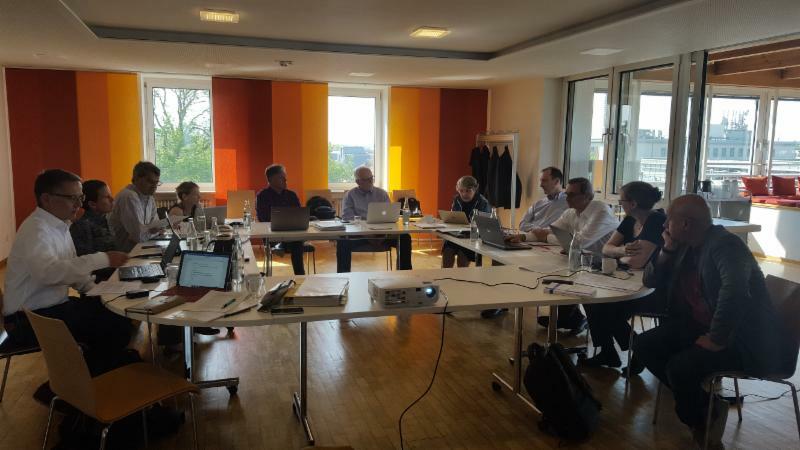 The most recent meeting in Augsburg, Germany, took place May 3-6 and was hosted by the ELKB at the Deaconess Conference Center (see above). 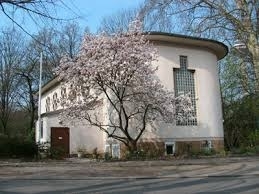 It culminated with an ecumenical eucharist at the Church of the Ascension in Munich (see below). 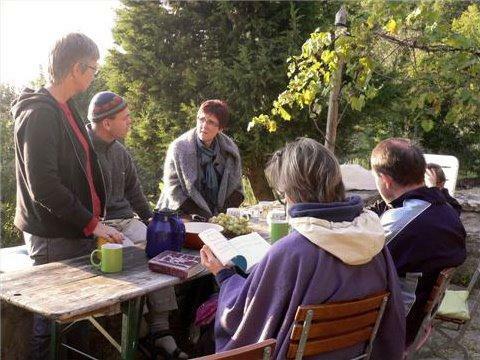 The Bavarian Church has been at the forefront of ecumenical dialogue among the German Protestant Landeskirchen, and this dialogue is a significant step in moving toward closer relations between Anglicanism and German Lutheranism. The conversations in Augsburg centered around a document leading toward full communion between the churches, which will be refined over the next few years. 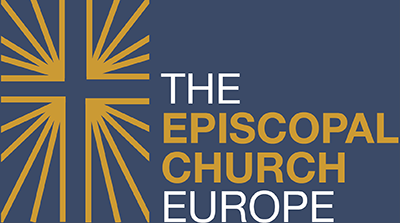 At the General Convention (GC) in Austin, a resolution will be presented by the Convocation of Episcopal Churches in Europe and the Office of Ecumenical and Inter-Religious Relations of the Episcopal Church, which will make this an official ecumenical dialogue of the Episcopal Church. This will enable future General Conventions to consider documents emerging from these dialogues with a view toward moving toward full communion. The Rev. Steven Smith, Rector of the Church of the Ascension in Munich and a deputy to General Convention, will be spearheading this effort at GC. The Rev. Margaret Rose, Ecumenical Officer of the Episcopal Church is intimately involved in this proposed legislation. Participants in this dialogue include: Ecumenical officials from the Evangelical Church in Germany (EKD), the Lutheran World Federation, the Evangelical Lutheran Church in Bavaria (church officials and theologians), an official from the Ecumenical Office of the Evangelical Lutheran Church in America (ELCA), the Ecumenical and Inter-religous Affairs Officer of TEC, a representative of the Church of England's Office of Ecumenical Relations, a theologian from the Scottish Episcopal Church, an ecumenical relations officer from the Anglican Communion Office, and representatives from the Convocation including Bishop Whalon. This has been very exciting. Once the document has been refined by the dialogue committee, it will be presented to the Anglican Communion office, the Lutheran World Federation, the EKD, the ELCA, and others for comment. 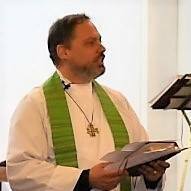 Then the Synodical processes of the Evangelical Lutheran Church in Bavaria and GC of the Episcopal Church will consider it for approval. Ora pro nobis! This past week, the Rev. John Perris and wife Cat moved from Frankfurt to New York City, where John+ has taken a new position as Canon to the Ordinary of the Diocese of New York. John and Cat will be missed very much. 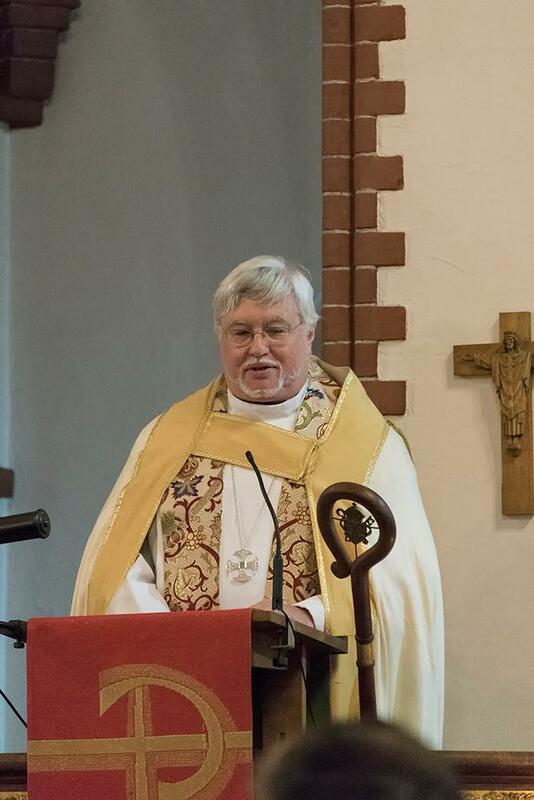 He has served as Rector of Christ the King Parish in Frankfurt since 2014. Bishop Whalon has appointed an interim for CtK, who will assume office in August. "I write this morning with the happy announcement of my appointment of the Reverend John D. Perris to be the Canon to the Ordinary in this next season of our life as a church and diocese. He is currently serving as the Rector of the Episcopal Church of Christ the King in Frankfurt am Main, Germany. John is announcing this same news to his congregation in Germany at this same hour, and in the next weeks he and his wife Catharine and their family will relocate to New York, and he will assume his new responsibilities on June 16. "John was born in 1960 and received his Juris Doctor from Yale University in 1986. He then practiced law until graduation from General Theological Seminary in 1998 and his ordination the same year. He served parishes in the dioceses of Newark, Virginia and Massachusetts until assuming his current cure in Frankfurt in 2014. 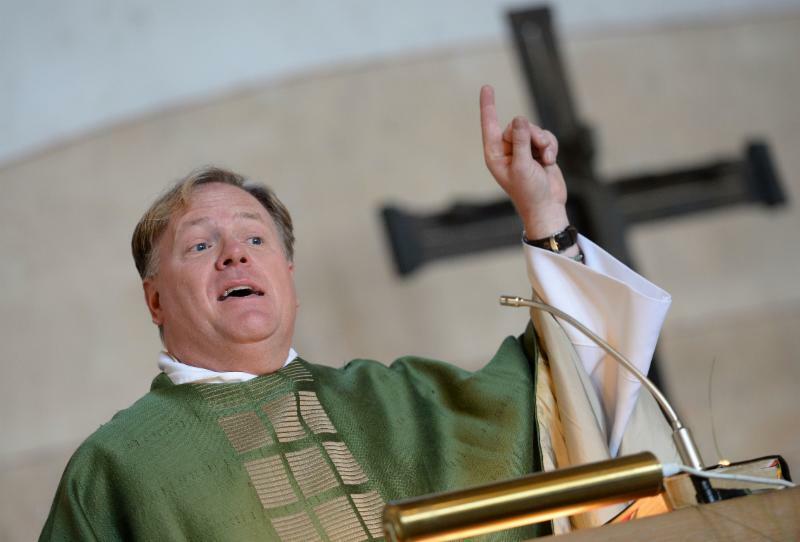 "He comes to us as a seasoned parish priest, and an accomplished leader in the church. He enjoys the respect of bishops across our church. But he also brings an astute legal mind to understand and interpret the word and spirit of the church canons, as well as the laws of the state which govern religious institutions, and the pastoral and professional abilities to help under-resourced churches which are more and more facing property development and real estate challenges and opportunities to shape the legal processes which lie before them. "He is also a gentle soul and true Christian. He is a genuinely nice guy, and I look forward to working with him. 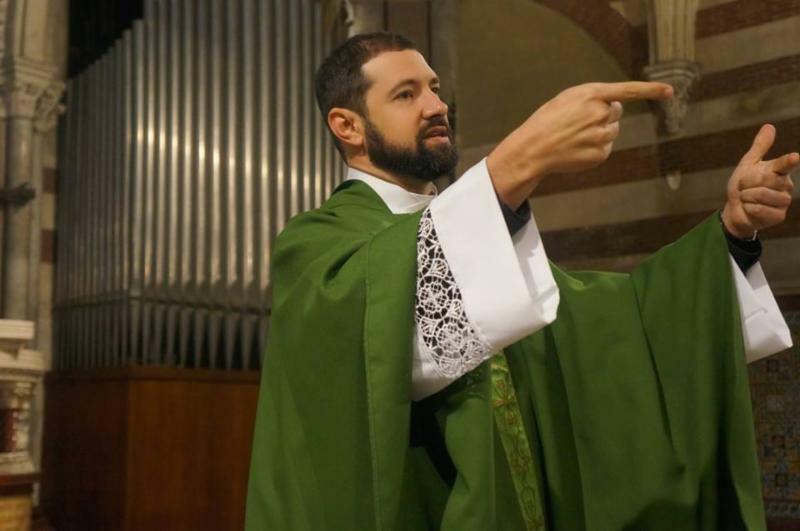 And I am confident that he will become a valued resource for our clergy and churches, and a partner in ministry for me and Bishops Allen and Mary, and for the members of my staff. I look forward to the opportunity to introduce him to the Diocese of New York.... "
The Reconsecration of Santa Maria a Ferrano Chapel is scheduled for Saturday, October 6, at 12:00 noon followed by a reception and tour. 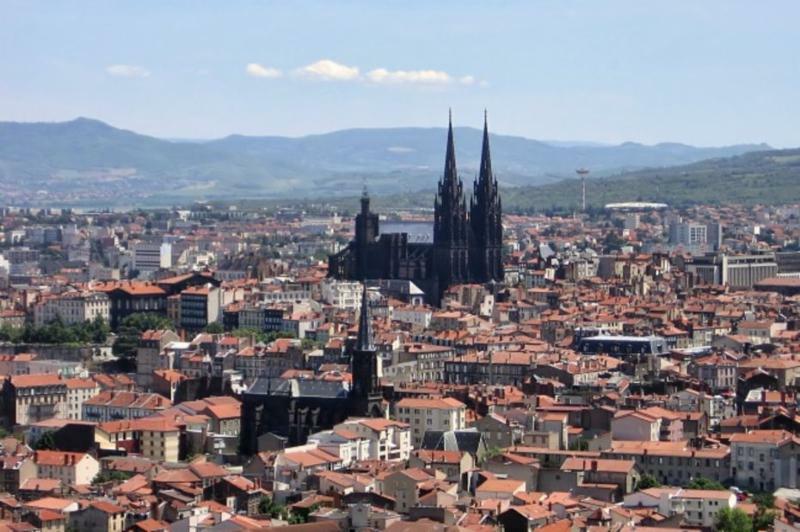 In 2017, Santa Maria a Ferrano became an affiliated institution of the Convocation of Episcopal Churches in Europe. It is also a member of the Episcopal Camps and Conference Centers. 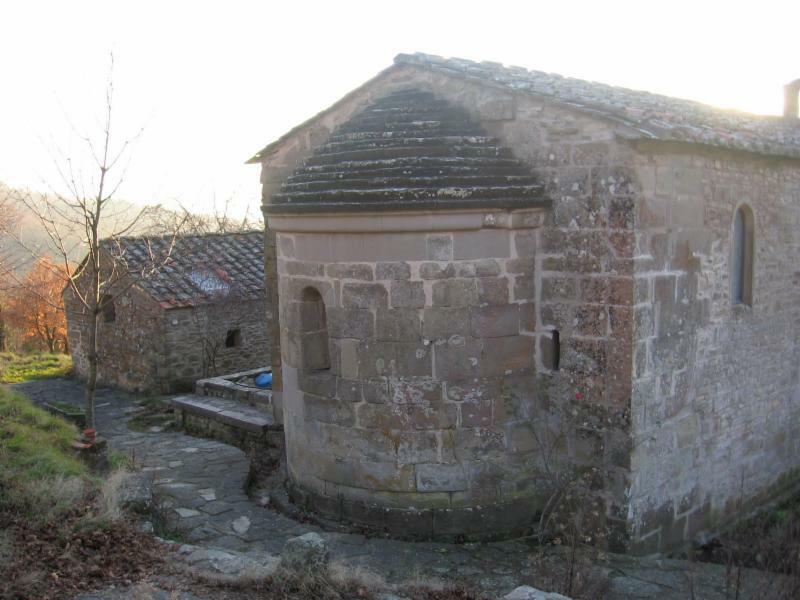 The Romanesque church of Santa Maria a Ferrano , as it stands today, is about a thousand years old - the first written document mentioning Santa Maria dates 1080. Most likely it was founded by a religious order from Florence that received the lands from a local, feudal lord in order to bring culture and agriculture to the then backward and remote “Florentine mountains”. The church, dedicated to “Santa Maria”, houses a fresco (late 15th century, in a fragile state of conservation) depicting Mary nursing the child Jesus and two saints standing to the right and left of her. The church today is used for liturgy, prayer, meditation, gatherings and artistic performances. 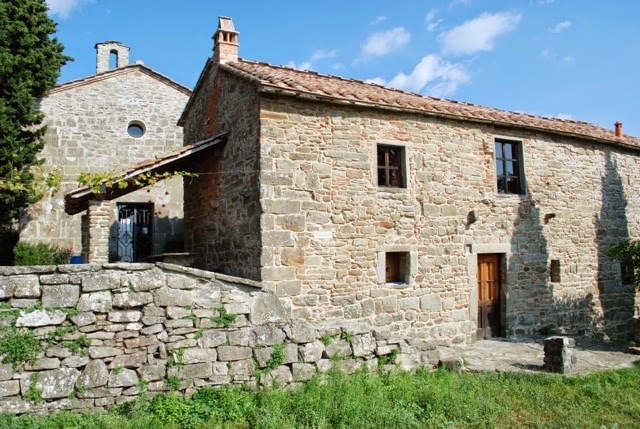 The main farm house and side-buildings of 300 square meters were added in the 16th century, when the church was no longer the religious center of the area. 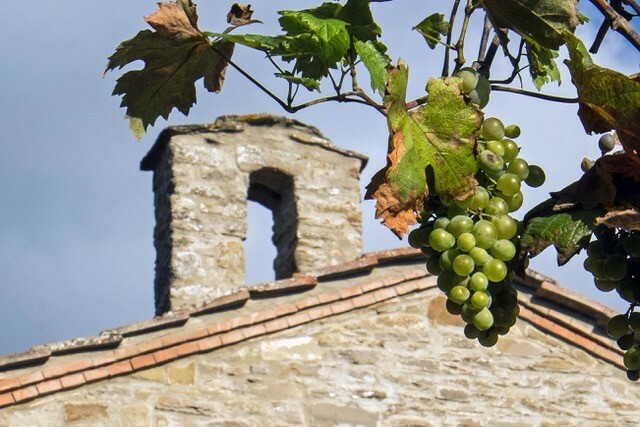 The surrounding lands of aproximately 18 acres were cultivated until 1962, when the last farmer, working in “mezzadria” - a medieval form of sharecropping - left Santa Maria. At that time the church was deconsecrated. 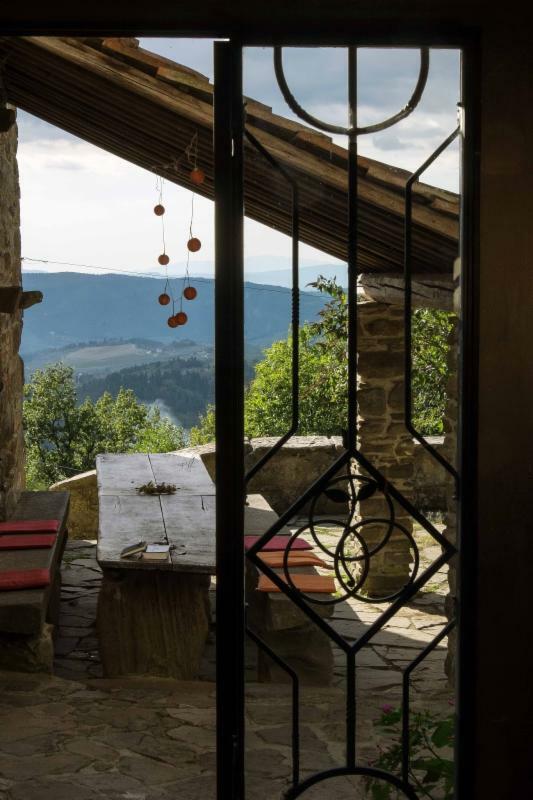 In 1980 a German sculptor bought Santa Maria to create an international summer art academy. 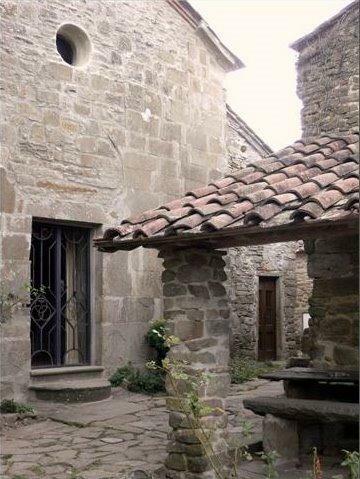 Over a five year period the buildings and grounds were restored by volunteers, art students from northern Europe. Santa Maria has since then hosted artists, art students and Waldorf /Steiner schools for study periods of stone-carving, painting, music, dance and the Florentine Renaissance. 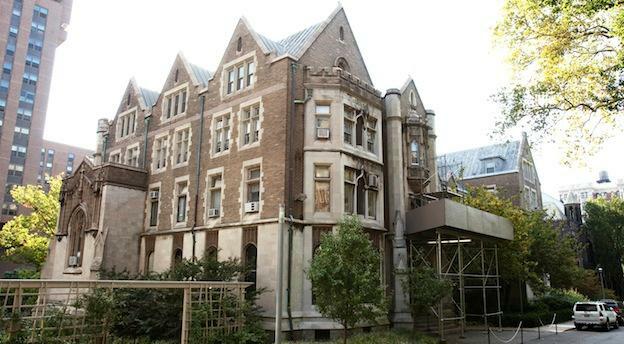 In 1990 the property was taken over by a German foundation. Activities continued in somewhat diminished form. The Rev. Thomas Müller - priest in the Convocation of Episcopal Churches in Europe and part of the original group of students that restored Santa Maria in the early 80’s - was asked to take over management in 2005. He expanded the program to include spiritual retreats and increased initiatives involving the local community. 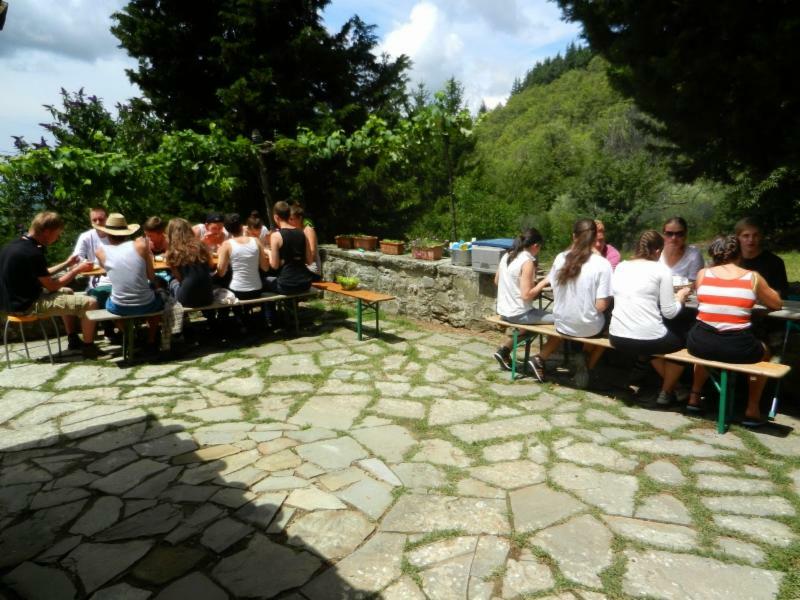 In 2009 the then owner of Santa Maria donated the property to an Italian non-profit set up by Thomas, Santa Maria a Ferrano onlus,. Since then course offerings have expanded both in arts and crafts and in the area of religion and spirituality. A new phase of restoration also was initiated with the complete renewal of the roof of the main house. Santa Maria is located at 620 meters in the hillside 30 km east of Florence. It is a place of great natural beauty, strength and simplicity. Its essential, historical and spiritual nature provide an ideal environment for people from all walks of life to return to fundamental questions and perspectives on life. We welcome all who seek to know and better understand themselves, God, each other and the world. 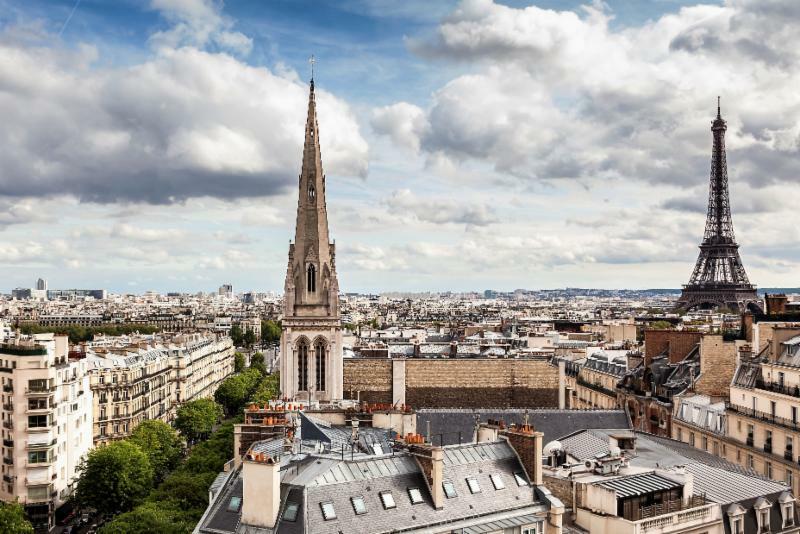 With the reconsecration of the chapel by Bishop Whalon in October, it is hoped that Santa Maria can continue to expand its ministry as a place of prayer, encounter, and refreshment for Episcopalians-Anglicans, people of faith, and seekers from Europe and beyond. The Council of Advice has designated the First Sunday of Advent as Mission Sunday . This will replace the Day of Pentecost. A special offering is taken and designated to a mission or area of need designated by the Council of Advice. This year's Convocation Mission Sunday offering will go to the Episcopal Diocese of Puerto Rico. (This is for both this past Pentecost and for Advent 1.) 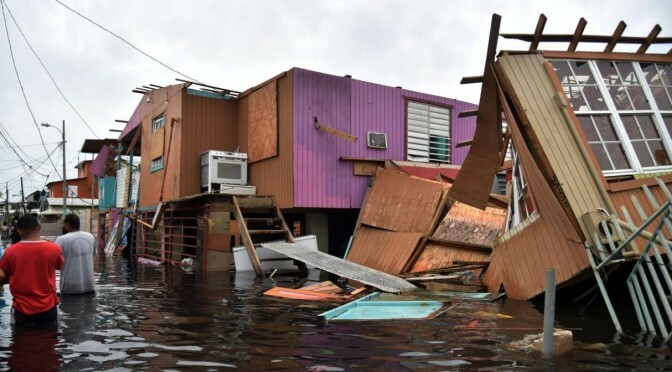 The entire island was devastated by hurricane Maria in the last year. The Episcopal Church in Puerto Rico has been greatly involved in the recovery effort, even when government assistance was lagging. The diocese owns many hospitals on the island, which have been instrumental in the relief effort. The Diocese of Puerto Rico, one of the most vibrant and generous dioceses in the Episcopal Church, has been severely impacted by Hurricanes Irma and Maria, leaving the island largely without power, gas, water, and communications. In addition, many thousands are homeless or in precarious conditions. The Diocese of Puerto Rico has always shown enormous leadership in reaching out to assist others in disasters such as recent earthquakes in Ecuador and neighboring hurricane-struck Caribbean Islands. They had been in the process of sending medical aid to other islands impacted by Hurricane Irma when they were themselves hit by Hurricane Maria. The offering taken in our various congregations on Advent Sunday will be sent from the Convocation Office to the relief efforts in Episcopal Diocese of Puerto Rico. Le « Magazine Anglican », animé par Laurence Moachon, paroissienne de la Cathédrale de la Sainte Trinité à Paris. 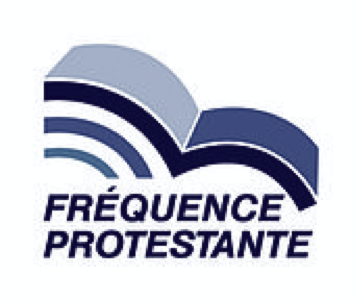 Depuis septembre 2012, Laurence Moachon présente le 4e samedi du mois, le Magazine Anglican. Avec l’objectif de faire mieux connaître la tradition anglicane au public français, elle traite de sujets d’actualité culturelle, historique, liturgique ou ecclésiologique dans la Convocation et la Communion Anglicane. "Go forth for God; go to the world in peace; be of good courage, armed with heavenly grace, in God's good Spirit daily to increase, till in his kingdom we behold his face."